MONACO YACHT SHOW 2013 : Get your private Taxi Limousine! Nice Airport Transfer Angelcab choose for you the best car with driver, Private Taxi Limousine, Minivan for your transfer from Nice Airport to Monaco Yacht Show 2013. Votre Taxi Privé ou Limousine de l’aéroport de Nice à Monaco! The Monaco Yacht Show is considered the most prestigious pleasure boat show in the world with the exhibition of 500 major companies in the luxury yachting and a hundred super and megayachts afloat. 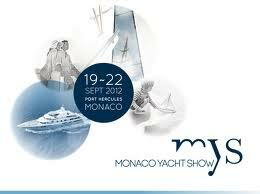 With around 28 000 professional and private visitors per show, the MYS is the long-awaited superyachting meeting of the year for the prestigious brands, allowing them to meet the most important international clientele.